Plan9 is about to start its 10th cycle of incubation. Launchpad is a flagship two day event which will mark the beginning of new incubation cycle. At the launchpad event applicants will pitch and scoring will be done by a Panel of Judges to announce the results. The shortlisted applicants receive mentoring, develop product prototype and prepare final presentations. Final Presentations are made by shortlisted teams that are rated by a Panel of Judges and selected teams are incubated. Each incubation cycle lasts for 6 months. It is held in 3 major cities of Pakistan (Lahore, Karachi and Islamabad) and it is a nationwide initiative and teams from all over Pakistan are called to participate. 1- One has to be a Pakistani citizen. Although it is held in the 3 major cities of Pakistan (Lahore, Karachi and Islamabad), it is a nationwide initiative and teams from all over Pakistan are called to participate. 2- Must be above 18 years to be eligible to apply. 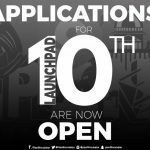 3- Launchpad is open for everyone. Women are highly encouraged to apply. 4- One applicant can only apply with one idea. 5- Startups need to have a product-based business idea with a tech component. 6- Startup should be able to present a mock up/wire-frame/prototype of the product. 7- Startup needs to have a strong, self-motivated and skillful team of 2 members at least – 1 CEO and 1 CTO and 5 at maximum. 8- Founder should not be employed elsewhere so to commit the upcoming 6 months to his/her startup at Plan9. Since it is a technology incubator, the business idea must be product based and have a tech component. The incubation at Plan9 will provide free work space and infrastructure with mentoring on every aspect of a startup, training and workshops by industry experts, legal advice of all kinds for the startups, networking opportunities for investment, connection with potential customers/business clients. In 5 years time period, Plan9 has evolved 9 Cycles, 130+ Startups, $70 million accumulated valuation of startups, $2.5 million gross investment, 1000+ jobs, multiple international players on board such as Google, Facebook, Amazon, Microsoft, Capital Factory, Austin , City of Austin, Texas, Greater Austin Chamber of Commerce, Startup Istanbul, Department for International Development, U.K, Australian Government, TIE, Global Fostering Entrepreneurship, 3 Day Startup, Tech Ranch Austin, Open Silicon Valley.